Mobile device management is all about IT pros getting end users up and running as quickly as possible, while maintaining control over corporate resources. In BYOD scenarios, IT pros face additional challenges due to the breadth of devices that end users want to use. 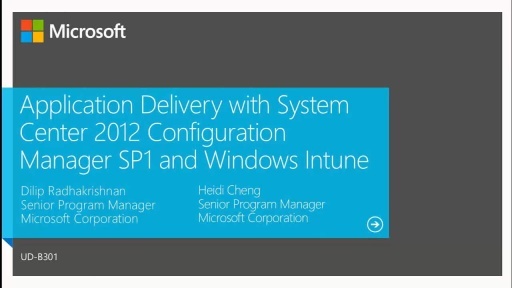 Come to this session to learn how Intune and System Center Configuration Manager makes it easy to manage all of your Windows, Windows Phone 8, iOS, and Android devices with a single pane of glass. We walk you through how to easily configure devices for your users by pushing Wi-Fi, VPN, certificate, and email profiles as soon as they are enrolled. We also show you how to use conditional access policies to ensure that only devices that are fully managed and compliant with your policies are able to access corporate resources.